NJ.com and the Starr Ledger recently published a great brief answer to a reader's question about how to avoid the federal estate tax. Enjoy this article and some of the recommendations. 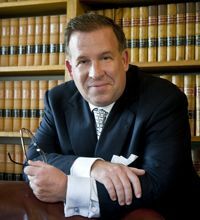 If you are a Pennsylvania resdeint and have not reviewed your will in more than three years, or if you have a will that does federal estate tax planning (think A/B trusts) then it may be time to contact your estate planning attorney for a review. Unruh, Turner, Burke and Frees' Wealth Preservation, Trust and Estate Department.